The spring of 2012 was the earliest in recorded history; accordingly, plants leafed out weeks earlier than normal. These extremely early springs are predicted to increase in frequency in future years, and much is still unknown about how leafing phenology will respond. We know from past studies that temperature is the dominant factor influencing the timing of leafing in plants of temperate systems, so phenology is likely to be affected by increasing temperatures. Authors of a new study tracked the phenology of white ash at a common garden in Kansas, where seeds that were collected from 43 populations across the species range were planted in 1976. The authors found that during the extreme year of 2012, trees leafed out an average of 21 days earlier than the non-extreme years. They also found that trees from the different populations tracked the phenology of their location of genetic origin, with trees from southern populations leafing out earlier than trees from northern populations. Though the phenology of leaf emergence is well-studied, not much is known about the impact of extremely early springs like 2012 on leaf phenology. Being able to predict the response in the timing of leaf-out will be critical as these springs are predicted to become more frequent. The authors used a common garden that contained 43 populations of white ash originating from locations with varying latitudes in the eastern part of the US. These populations allowed the authors to look at the differences in phenology due to genetic make-up. This information is important for forecasting how plants will respond to climate as southern populations migrate or are moved by managers to more northern areas. 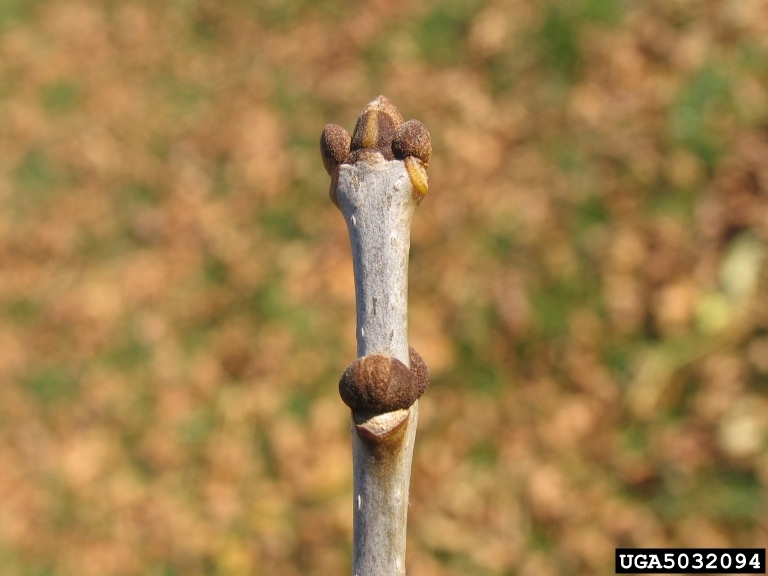 Changes in phenology can greatly impact a plant’s survival, as leaf-out in an early spring can put the plant at risk of subsequent frosts and freezes. Knowing when plants will leaf out can help farmers and gardeners to know when to plant crops and cover vulnerable early spring buds. Plant productivity is also impacted by these early springs. A longer growing season may have positive implications such as more carbon uptake in the short term, but negative long-term implications due to plant stress from temperature fluctuations and drought. Changes in the timing of phenology also put the plant at risk of mismatches with the pollinators that they rely on for their reproductive success. Citation: Carter, J.M, Orive, M.E., Gerhart, L.M., Stern, J.H, Marchin, R.M., Nagel, J., Ward, J.K. 2017. Warmest extreme year in U.S. History alters thermal requirements for tree phenology. Oecologica. DOI 10.1007/s00442-017-3838-z.